In recognition of his significant contribution to education of high school students as well as volunteer activities to promote baseball in Myanmar, Ministry of Education, Culture, Sports, Science and Technology – Japan (MEXT) honored Hiroshi ITO (47) at a Ministerial Award ceremony in Tokyo on January 18, 2016. ITO, while teaching at Ohmi Senior High School in Shiga Prefecture, coaches its highly competitive baseball club which was runners-up in the 2001 National High School Championship at Koshien. His involvement in Myanmar supported by Japan High School Baseball Federation and Tohru Iwasaki, GM of Team Myanmar dates back to 2003 and during the ensuing quarter of a century, he travelled to Yangon for a few times for coaching, and helped invite coaches, umpires and national teams to Japan. He initiated the visit of Shiga H.S. 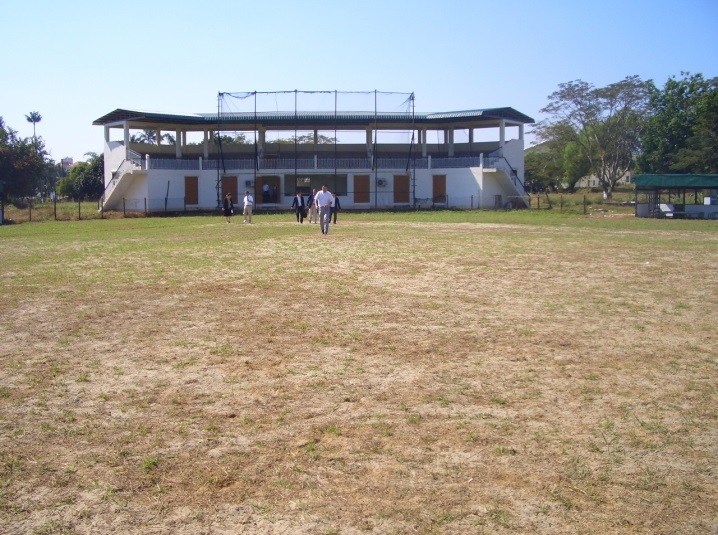 All Stars to Myanmar for friendly games in 2006 followed by Tokyo H.S. All Stars in 2014 when he acted as the head coach for the host team. A 3rd visited by High School All Stars from Japan is scheduled in 2018, this time from Aichi Prefecture. In March, 2015, President Tom Peng (Chinese Taipei) of Baseball Federation of Asia as well as Vice President of International Baseball Federation wrote to Director General of Sports and Youth Bureau asking for their assistance to our endeavor to prevent the only baseball park in Myanmar from the threat of closure as a consequence of the redevelopment program in the central area of Yangon by land developers in Japan.